Oversized vintage-look knit sweater in a modern high -low silhouette, by Caralase. 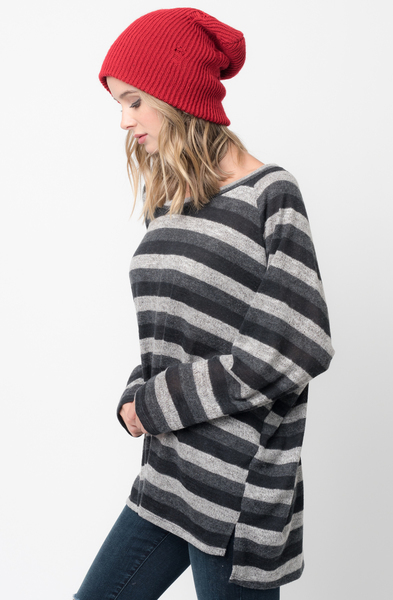 In a slouchy long-sleeve fit featuring stripes and a dolman silhouette. Finished with a banded collar and side slits at the hem. Size + Fit: Small (0-4), Medium (6-8), Large (10-12), X-Large (14-16). Model is wearing a size Small + 5'8". Polyester, Rayon, Spandex. USA.